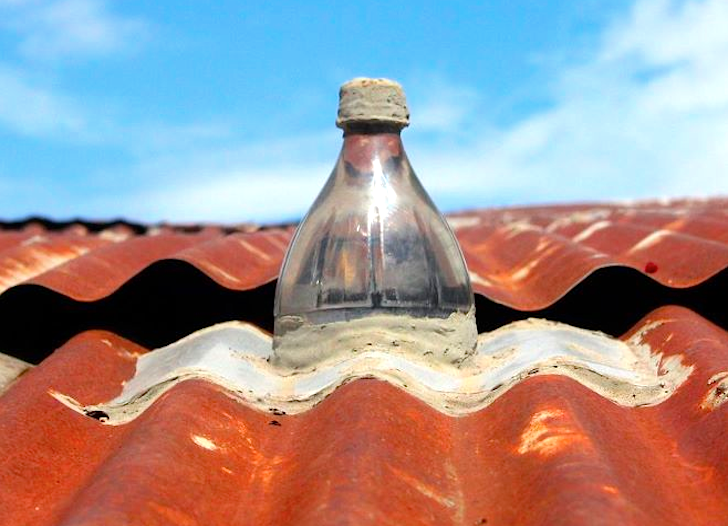 We posted about the amazing MIT-designed plastic solar bottle bulbs that have literally changed the lives of 10,000 slum dwellers in the Phillipines, and now we're happy to report that the My Shelter Foundation has expanded their "Isang Litrong Liwanag" campaign with the goal of bringing one million of these dirt cheap "liters of light" to homes in Manila's slums. Hit the jump for a look at the non profit organization's video, which demonstrates how a plastic bottle filled with water and a touch of bleach has transformed thousands of dark shacks into saner, safer places. Just one project under the My Shelter Foundation‘s good deeds, A Liter of Light uses simple technology originally conceived by Alfredo Moser from Brazil and modified by MIT students for the Philippines to create social change in underprivileged areas of the Philippines. With funding from Pepsi, Bosch and other contributors, the organization hopes to transform the lives of 1/3 of Filipinos living in the dark. According to their online literature, 3 million households in the Philippines lack connectivity to the national grid and therefore lack decent lighting. And the Bureau of Fire Protection claims that many preventable fires are caused by faulty connections, which is made worse by the government’s inability to properly monitor informal settlements. Both of these problems can be addressed very easily with the solar bottle bulbs which are extremely easy to put together. Easiest way to light our homes.. I don't know how well the plastic will hold up to sunlight . A simple plastic solar bottle bulb can change all of that when filled with water and a touch of bleach. This definitely one of the most amazing examples of social design we've seen all year.